Wall of Empowerment? 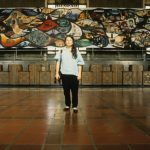 The Story of the Fountain Valley Mural – ¡Murales Rebeldes! 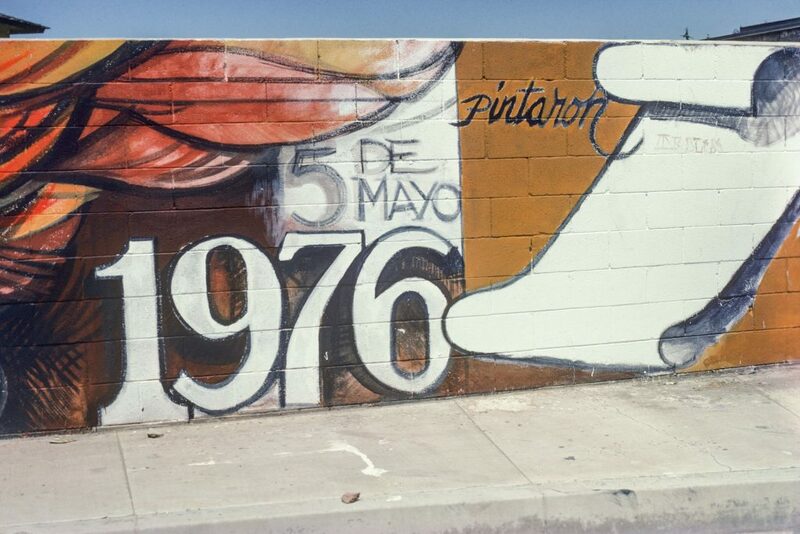 The motif of an eagle interlocked with a jaguar symbolized an empowered Mexican American cultural identity in Sergio O’Cadiz Moctezuma’s Fountain Valley Mural, 1974–1976. Courtesy of the O’Cadiz Family Private Collection. It was the mid-1970s. 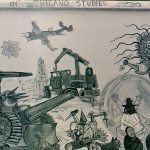 The social, political, and cultural strivings of the Chicano and Chicano Art Movements were impacting Mexican American communities throughout the Southwest. 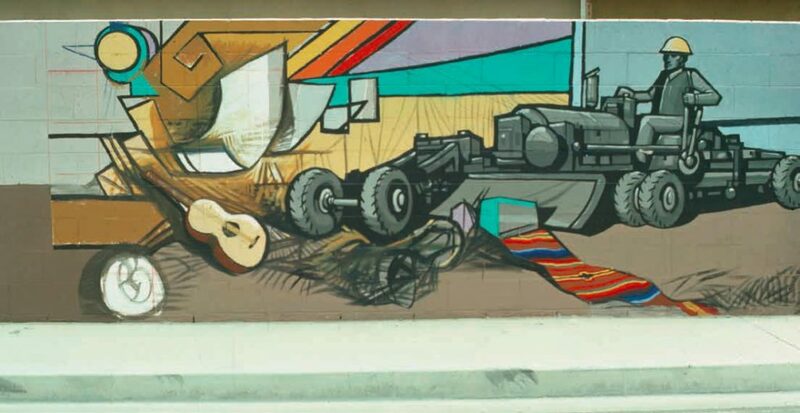 In the city of Fountain Valley, Orange County, an artist was invited into a community to design a mural that would not only beautify the neighborhood but also celebrate the community’s heritage and express pride and power. 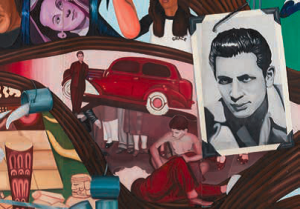 Mural detail of Chicana/o youth empowered by the Chicano Movement, c. 1976. Courtesy of the O’Cadiz Family Private Collection. The wall was large and inviting: over 600 feet long and 6 feet high. 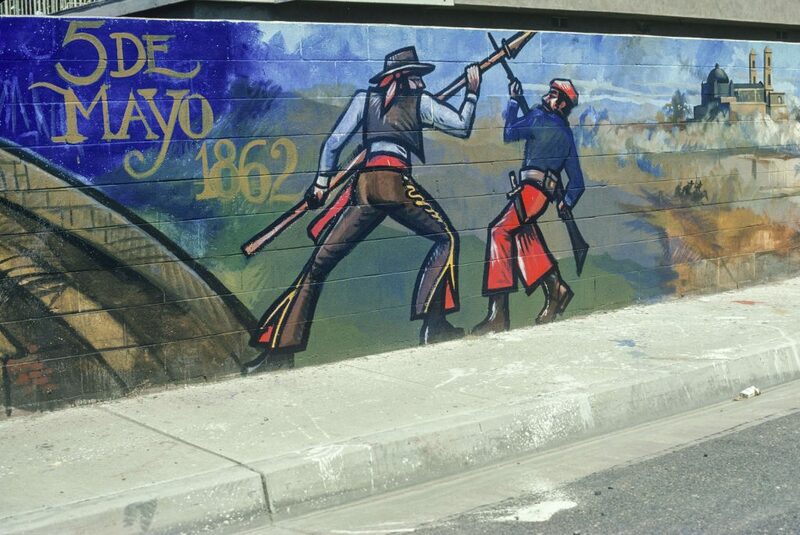 The muralist had received funding from the city to make the mural. Community members would help plan and paint it. 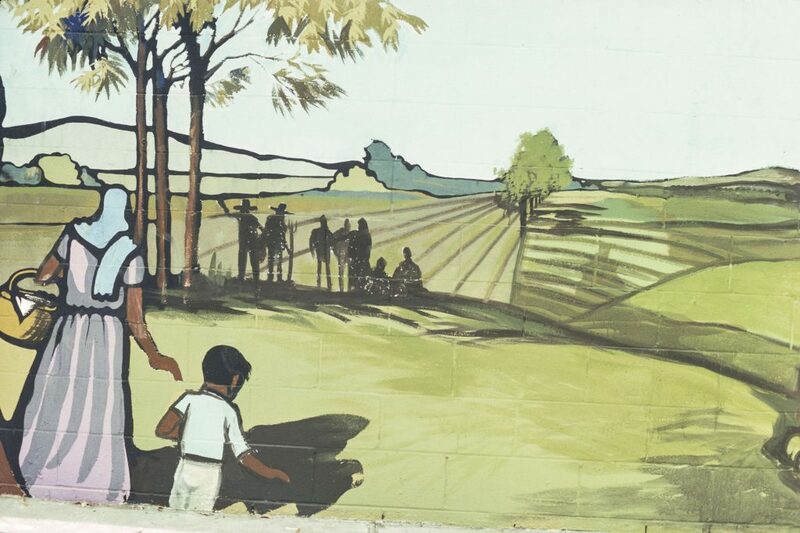 Conditions seemed ideal for Sergio O’Cadiz Moctezuma to paint Fountain Valley Mural for the Mexican American neighborhood of Colonia Juarez. 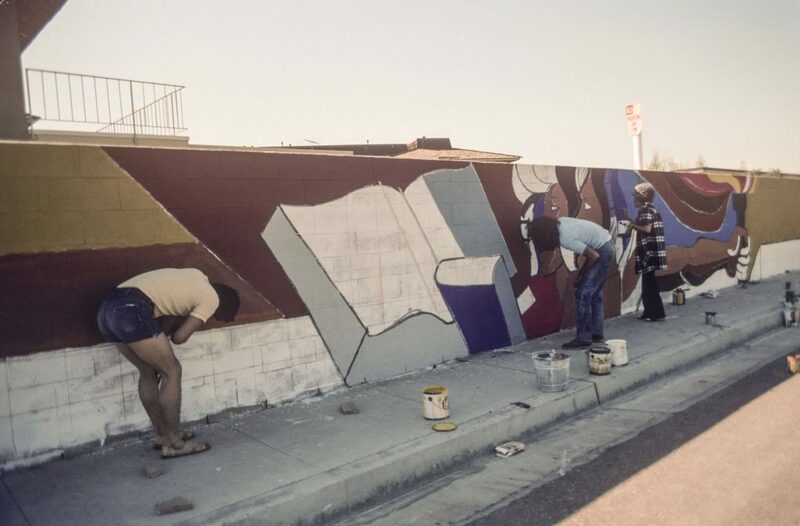 Colonia Juarez community members help paint Fountain Valley Mural, c. 1974–1976. Courtesy of the O’Cadiz Family Private Collection. 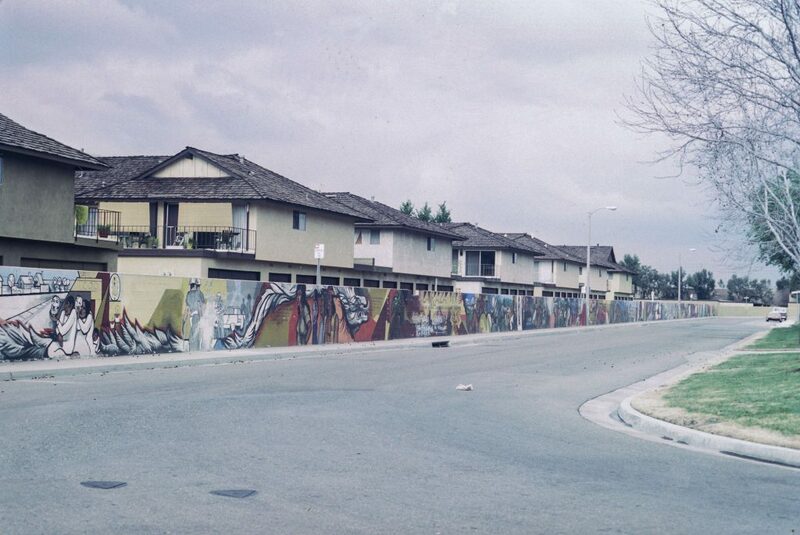 The completed Fountain Valley Mural along the Calle Zaragoza wall, c. 1976. Courtesy of the O’Cadiz Family Private Collection. 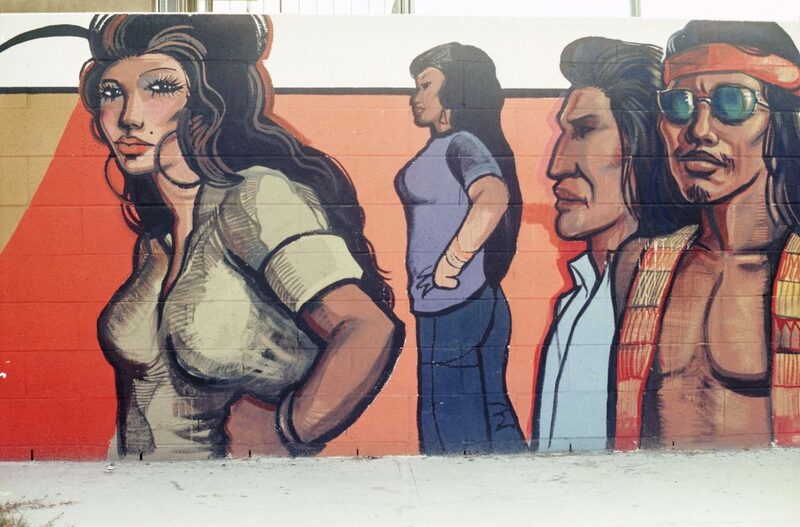 O’Cadiz’s mural received a significant amount of attention in the Los Angeles Times and local papers. Here O’Cadiz speaks with a journalist. Courtesy of the O’Cadiz Family Private Collection. 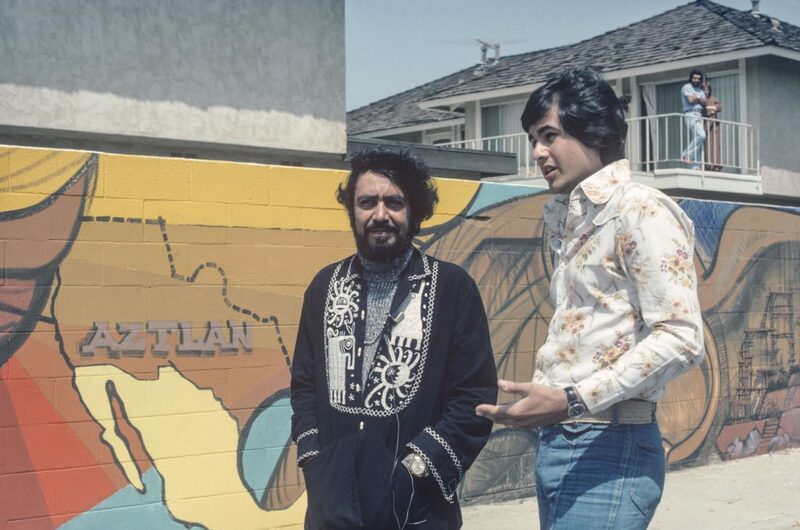 When it was completed, more than twenty-five scenes of the community’s Mexican and Mexican American heritage emerged. 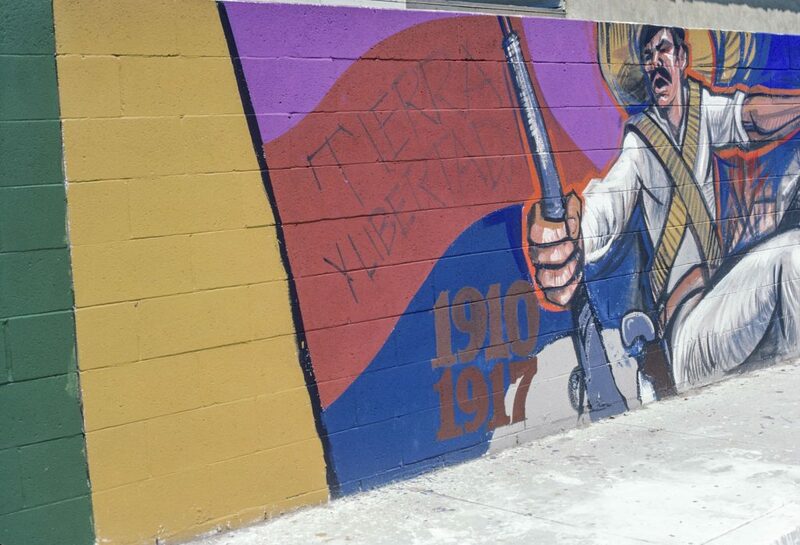 Arranged thematically, and illustrated in the following mural details, they included the arrival of Mexican peasants in California; the Mexican army’s victory over French forces at the Battle of Puebla on May 5, 1862; a soldier rising up to fight in the 1910–1920 Mexican Revolution, opportunity in the land of plenty, the 1976 Cinco de Mayo holiday, and O’Cadiz’s most foreboding panel—a bulldozer removing symbols of Mexican identity in the name of progress. 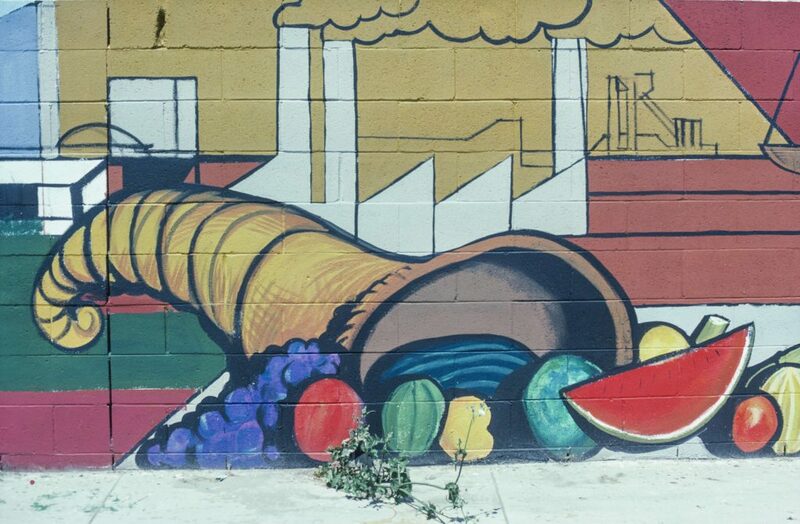 Mural details, Sergio O’Cadiz Moctezuma, Fountain Valley Mural, c. 1976. Courtesy of the O’Cadiz Family Private Collection. 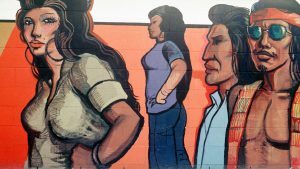 But as the mural’s scenes emerged, a controversy erupted. 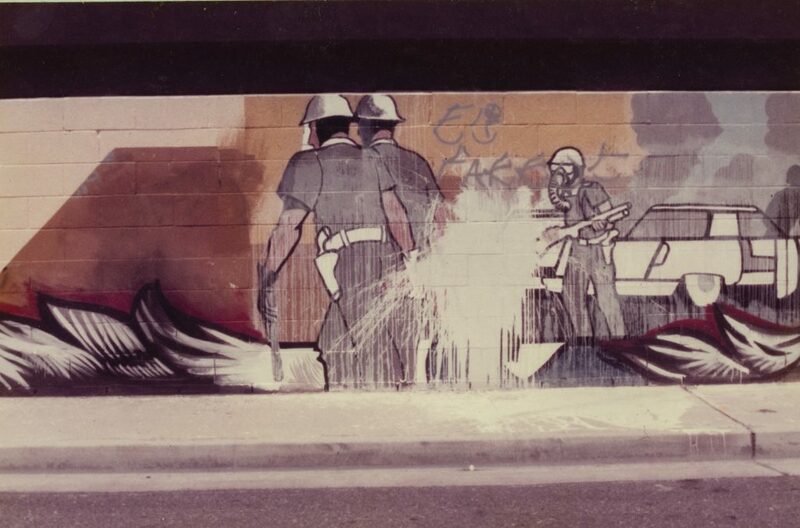 One scene depicted police in riot gear dragging a Chicano youth toward a police car. 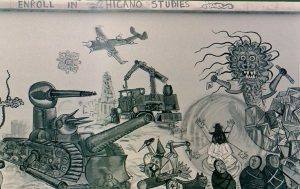 Colonia Juarez was a peaceful community, but incidents of police brutality and other forms of racial discrimination toward Mexican Americans was part of the region’s history. 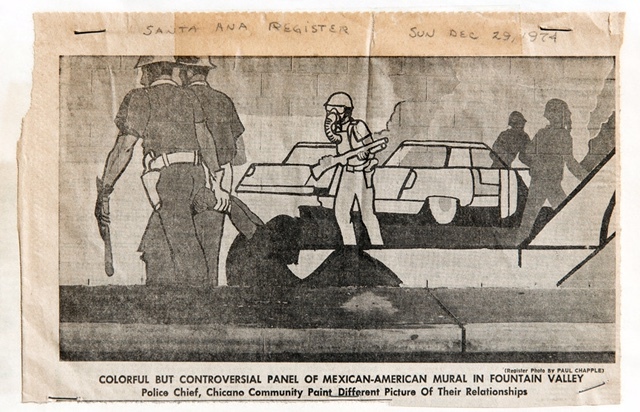 This Santa Ana Register clipping may be one of the few illustrations of the mural’s contested scene. Courtesy of Shifra M. Goldman Papers, Department of Special Collections, Davidson Library, University of California, Santa Barbara; photo: Bill Dewey. A rare close view of the contested scene following the vandalism. Courtesy of the O’Cadiz Family Private Collection. The debate over the scene caused the city to withdraw its funding. 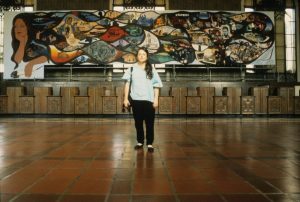 As a result, there was no money to seal and protect the mural, which deteriorated significantly over many years.